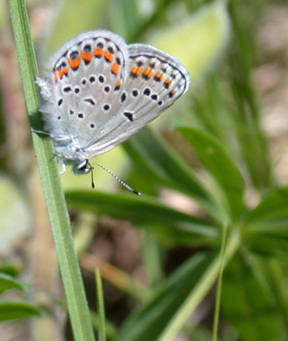 The endangered karner blue butterfly (Lycaeides melissa samuelis) was designated the official state butterfly of New Hampshire in 1992. 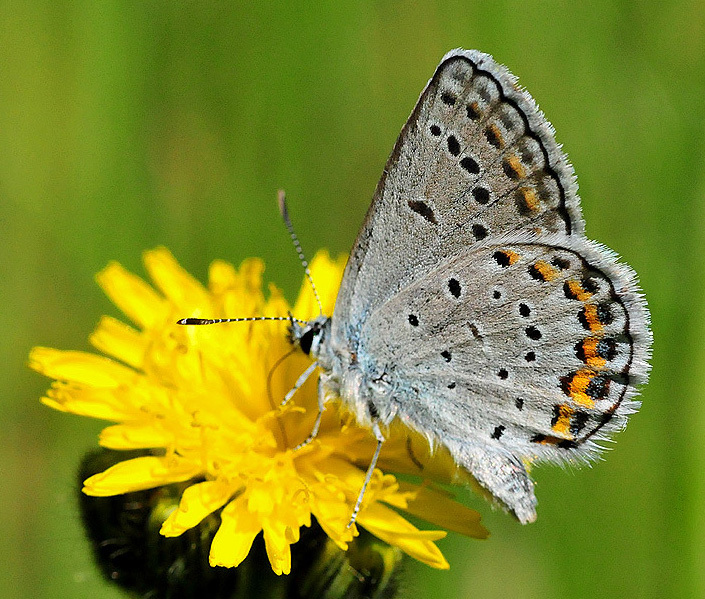 A small butterfly that lives in oak savannas and pine barren ecosystems, the karner blue butterfly is found in small isolated colonies in New Hampshire. Karner blue butterfly photo by Phil Delphey / U.S. Fish and Wildlife Service -Midwest Region on Flickr (use permitted with attribution).